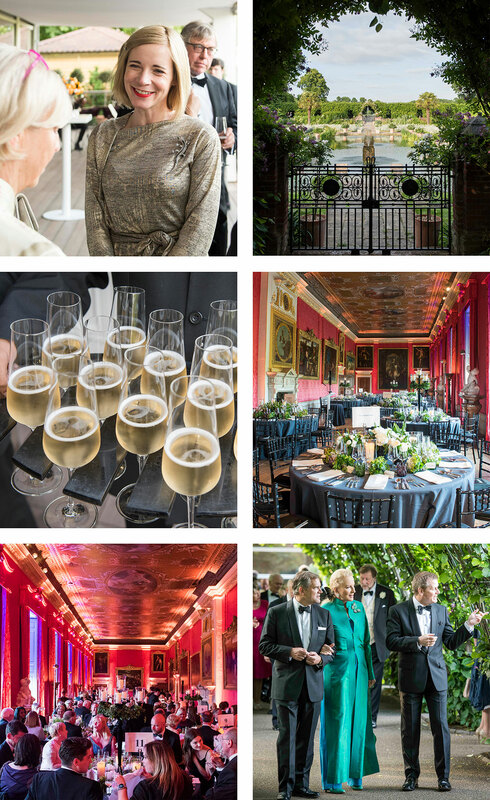 Coates & Seely were delighted to be served at a dinner in the Kings Gallery at Kensington Palace to thank some of the leading benefactors to Historic Royal Palaces. Drinks were served in the Palace gardens beforehand, after which guests proceeded to the State Apartments, up the magnificent King’s Staircase, designed by Christopher Wren, to dinner in the King’s Gallery. Built by William and Mary in 1695, the Gallery was once the hub of the royal court of the House of Orange, and is still hung with the crimson silk damask that sets off so brilliantly numerous masterpieces from the Royal Collection, all of it overlooked by the imposing statue of Charles I.